Friday night (Oct. 20) marked the home opener for the Brooklyn Nets, with Roc Nation singer Justine Skye recruited to sing the national anthem. At the end of her performance at the Barclays Center, the Brooklyn artist decided to kneel while singing the final notes of the song, in solidarity with the protest movement against police brutality and racial injustice sparked by Colin Kaepernick. "Got a bit shaky at the end.. was pretty uneasy about singing the anthem and probably won't ever be invited to sing it again but I had to take a knee for the opening game in my city and let my voice be heard," Skye wrote in an Instagram post featuring a video clip of her performance. "We will not be silenced #blacklivesmatter." As reported by ABC News, a spokeswoman for the Nets said that they "were not aware she was going to do so." The NBA, unlike the NFL, has a rule in place requiring players to stand during the national anthem. As pointed out by ABC, players locked arms during Skye's rendition of the "Star-Spangled Banner" due to the league's rule. Take a look at Justine Skye taking a knee during her performance in the clip below. 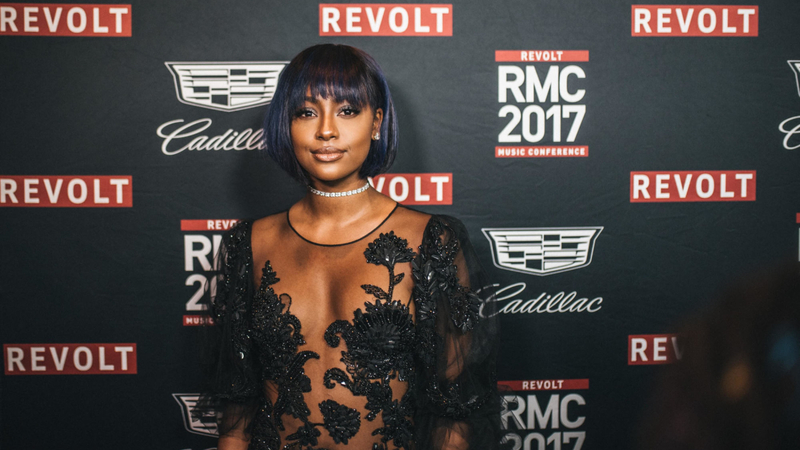 REVOLT Live | Justine Skye Performs "I'm Yours"
REVOLT Live | Justine Skye Performs "Bandit"